I grew up thinking that we should keep our shoes on at all times, but being barefoot is actually a great thing for your health. 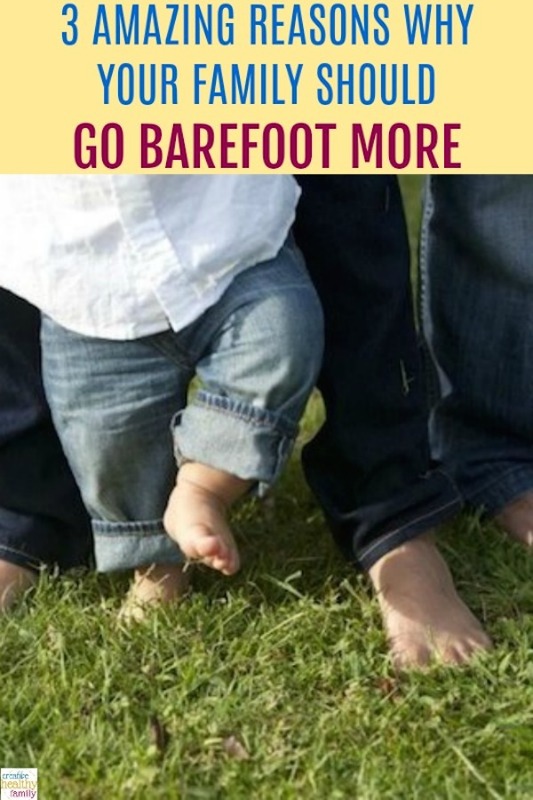 Here are 3 Amazing Reasons Why Your Family Should Go Barefoot More. “Put your shoes on”. I bet you’ve heard it a million times from your mom or grandmother. Or what about this one: “You are going to get sick if you walking in bare feet”. That’s a classic! Those are the typical phrases I was used when I was a child. And so I wonder if I should be the same way with my children. But after extensive research, I found out that it is the exact opposite. According to many experts, children will actually be better off if they leave those shoes behind. And adults should do it too. Have you heard of Grounding? Grounding, or “earthing,” as some people call it, involves placing your feet directly on the ground without any shoes or socks as a barrier. I believe that is completely true. Do you remember the last time you walked on the beach or a park without shoes? Did you feel the sand or the grass? I totally feel more connected with nature when I do it! And not only that, but I also feel happy. I feel good. I feel energized. That sense of well-being rising up into your body is the result of direct barefoot contact with the surface of the Earth, which brims with natural, subtle energy. The Earth, you see, is an electrical planet, and you are a bioelectrical being living on an electrical planet. Your body functions electrically. Your heart and nervous system are prime examples. (source). So, next time you go outside, to a local park, or to the beach, try putting your shoes aside and see what a difference it makes in your experience. Let your kids experience it too. And if you are still not convinced, please see below 3 amazing reasons why your family should go barefoot more. Yes, you heard right. Going barefoot actually prevents germs. Shoes are the perfect place for fungus and germs to live in. The moist and warm environment inside shoes is the ideal combination for bacteria to thrive on. Think about it. Bare feet are simply exposed to fresh open air, which helps minimize germs. Our skin is designed to keep pathogens out anyway. And we are more likely to become ill from touching something with our hands, which are in contact with so many things during the course of a day. Little kids put everything in their mouths! And we don’t even consider gloves for our kids to prevent germs. Many physiotherapists argue that going barefoot is important, and can actually prevent injuries from forming. Walking barefoot helps to improve balance, posture and prevent common foot injuries, according to an American researcher. For children, having their feet enclosed in shoes for most of the day can cause problems for their feet because they are unable to develop naturally when they are constrained. The shoes prevent necessary toe spread, interfering with the foot’s ability to function properly, something which limits movement development, making children more susceptible to injuries in their feet and legs. One of the most obvious benefits of going barefoot is that it feels good. 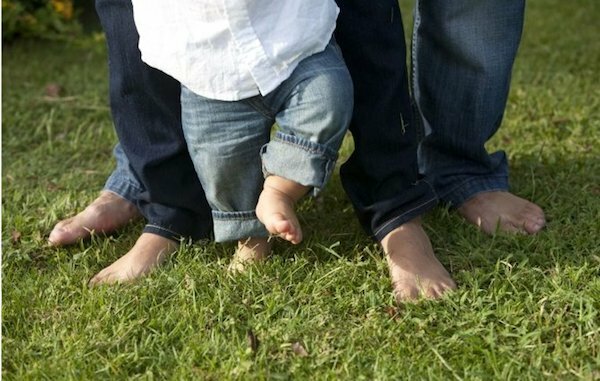 Having our feet touch some grass or sand can be a special moment for everyone in the family. Without shoes we can really connect with our surroundings. By going barefoot, we can also give our children the opportunity to improve their senses by experiencing different surfaces and temperatures. When their senses are engaged, they learn to appreciate more the world around them. Take a walk in the park and feel the leaves crunching or the softness of the grass. Go to the beach and feel the warm sun touching your feet, and listen to the ocean waves. This is a wonderful learning opportunity for our kids to develop and improve all of their 5 senses. I hope you enjoyed reading this 3 Amazing Reasons Why Your Family Should Go Barefoot More post. If you are interested in reading more about my blog, please take a look at my latest articles. I am a mom blogger who loves to share creative and healthy fun food ideas, family activities, natural remedies, parenting advice, and tips for living a healthy lifestyle.